It’s after watching a movie such as Captain America: Winter Soldier, that Marvel fans, both new and old, realize how great a potential the Publisher’s rich stable of characters has, and the endless possibilities that come when some of them are blended in a really good mix. And this particular Marvel fan was pleasantly surprised by the consistently good character development this movie offered, along with the introduction of more core Marvel elements to form an original story that in many instances is part Steranko and part Brubaker. And those are good news, as those creators have respectively defined and redefined the Captain America mythos, along with the spy games that seem to hunt poor Steve Rogers wherever he goes. As I tend to do with long-awaited movies, I had been watching all the Captain America: Winter Soldier trailers that Marvel Studios threw at us over the past few months, and I have got to admit that they had gotten me really excited about this new chapter in the Captain America saga and the overall Marvel Cinematic Universe. Let me tell you something: That did not happen this time around. Grab a coke and your popcorn and then prepare to gasp ten or twenty times throughout the whole thing. Because, baby, this movie is that good. This is the Captain America that fans of the comic-book will love to see: One that knows where he comes from but is no longer that character we saw fighting the Nazis in WWII on his first solo movie. This is Cap spectacularly fighting Batroc, the Leaper, the Winter Soldier and, hell, practically everyone, to prove his point; to prove that even in a world full of greys where nothing is what it seems, there is a moral and ethical line that cannot be violated, else we risk losing everything that we believe in. 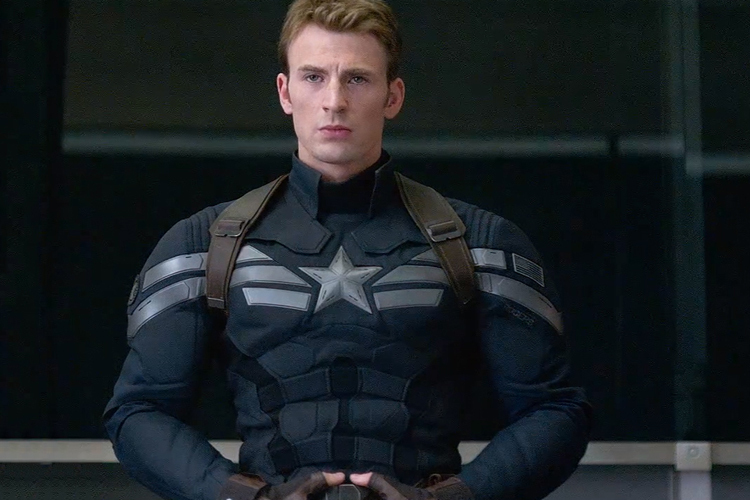 This movie accomplishes many things: It gives us a Captain America who is now a born leader, one who reacts to every threat and twist that appears along the way. The Cap we are given is a pissed off Cap; someone that as the movie goes on, feels betrayed by almost everyone and has to run for his life. 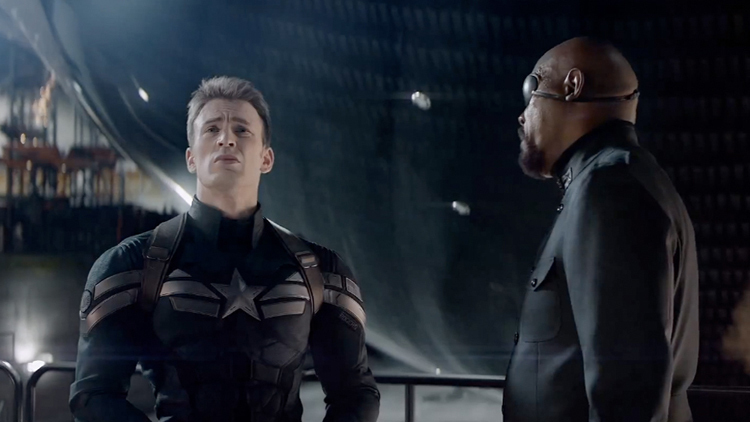 That Cap was amazing to see; each scene more thrilling than the previous one. Here, action is the word of the day. Action, action and more action, and not just with the spectacular climax, but all throughout the movie, giving viewers many non-barriers, top-level badass fast and chaotic fight scenes. Believe me, it will not be easy to catch your breath in the more than two hours of movie Anthony & Joe Russo have given us this time around. It was surprisingly satisfying to see a level of action and special effects that until now, from all of Marvel’s movies, could only be compared to the amazing display of The Avengers. This is one of the more powerful reasons why this movie stands as not only the best from Marvel’s Phase Two, but also as one of Marvel’s best solo movies to date. 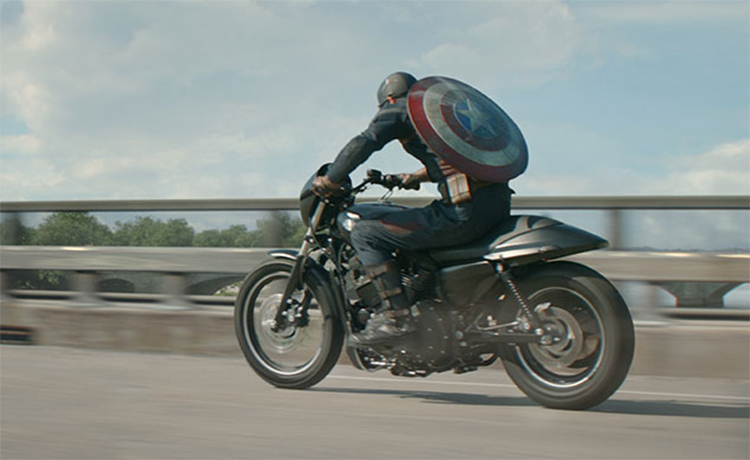 The other powerful reason why Captain America: Winter Soldier is so good? Solid, in-character acting. All the characters appearing in the movie feel real to the viewer, and each one of them has their own agenda and their own stance on grave issues such as security, freedom, fear and the cost that comes when one of these is sacrificed to ensure the other. 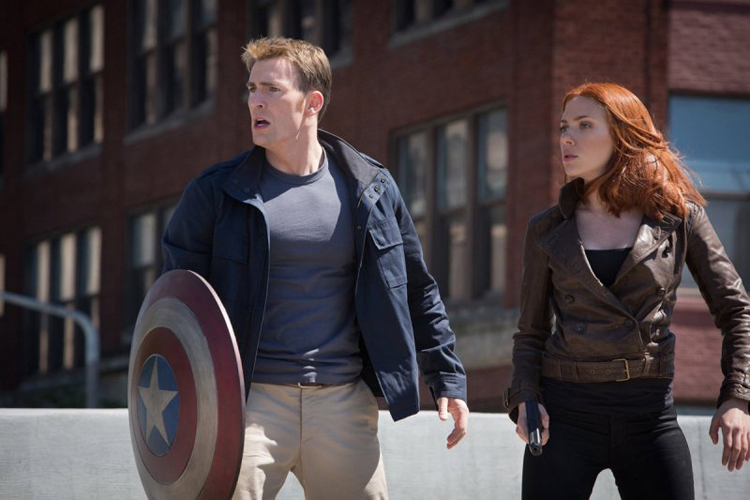 Unlike the first time we saw him, in the first Captain America movie, Chris Evans excellently portrays a grown Steve Rogers. One that is managing to fit into this world full of SHIELD agents and with almost nobody from his old days – a classic Captain America theme that is touched on this time around with elegance and subtlety, in a conscious effort to make Cap more accessible to young audiences. But Cap in this modern age, just like in the comics, needs help from his friends; and both the old ones – an always superb Samuel L. Jackson as Nick Fury – and the new ones – badass Cobie Smulders as Maria Hill, who even if not given much screen time, manages to steal some great scenes; Scarlett Johansson with an intensely exciting performance as the returning and mysterious Black Widow, whose way of looking at the world gets turned upside down; and the surprise of the movie, a roaring and soaring Falcon, which Anthony Mackie completely nails. Believe me, you are just going to fall in love with the way this long-time Cap partner is portrayed. They all are forced to bring in their A-game to take down the different enemies that come crashing at them, though there is one that rises above the rest. From the ashes of the old age comes crashing into this new world the Winter Soldier, a character created by Ed Brubaker and Steve Epting on 2005, in one of the duo’s best arcs on the title. 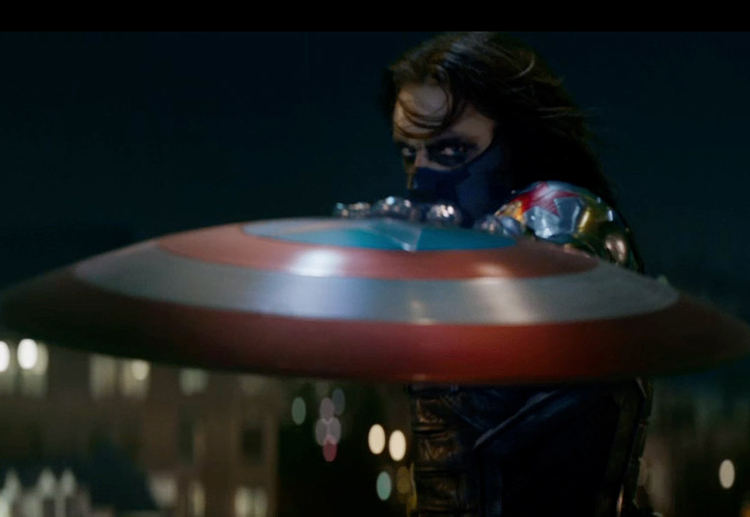 Sebastian Stan brilliantly brings the Winter Soldier to life. A dramatic and over-the-top violent character which you can feel suffering through the whole movie, especially during the climax, when what he is and what he is expected to be crash against one another. The fact that the Winter Soldier is full of layers and has the viewer wondering whether he should be hated or pitied is a testament to Stan’s great acting and the Russos’ direction. 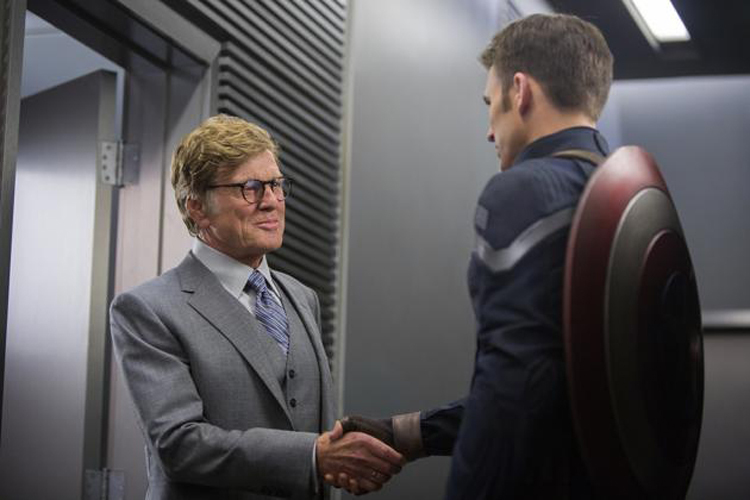 Movie legend Robert Redford delights us with a powerful and full of twists portrayal as Alexander Pierce, one of Nick Fury’s oldest and closest friends and a top chief at SHIELD who is also a member of the World Council that Fury had to address in previous movies. Redford’s dramatic weight is present throughout the movie, even in the scenes he doesn’t appear. His time on-scene with Samuel L. Jackson alone elevates this movie to a different scale; and is another great example of Marvel’s great policy of recruiting renowned actors to tackle key roles on their films, such as Sir Anthony Hopkins as Odin in the Thor movies or Michael Douglas as Hank Pym in the in-development Ant-Man. All of the acting, all of the character development and hell, all of the outstanding action sequences would not have mean that much if it weren’t because of a very solid script full of twists and turns – courtesy of Christopher Markus & Stephen McFeely – which has the viewer watching a movie that’s a mash-up of spy/political intrigue/super-hero genres. That’s not an easy task, and is also an elegant choice, paying homage to many of the themes that have been present in the Captain America title for most of its long run. Finally, this movie feels heavy and more important than others on the Marvel stable because things do get ugly. Everything that SHIELD’s been up to, all its secrets and lies, come to a head; and neither the UN Peacekeeping Force nor each and every one of the character’s lives will remain the same. 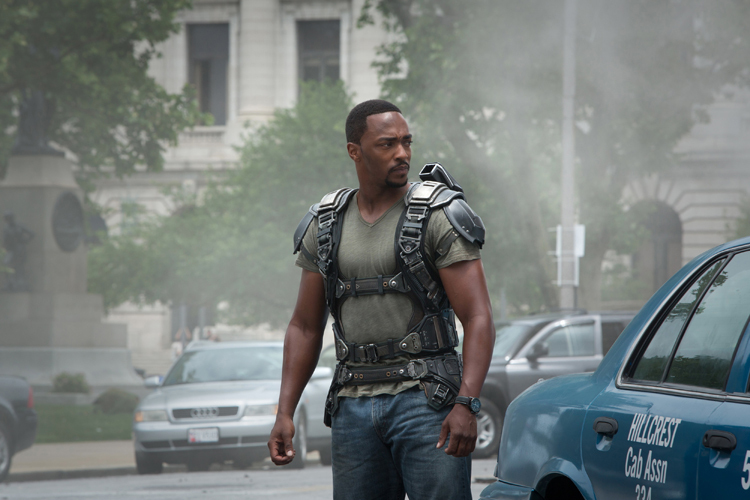 Steve Rogers, Natasha Romanoff, Nick Fury, Sam Wilson, Sharon Carter, Maria Hill, Brock Rumlow, Jasper Sitwell…they are all affected and changed, with bold moves that both surprised and satisfied this viewer, as they lay the groundwork for many exciting things to come in Marvel’s future movies. Not long ago, I read about something called “super-hero movie fatigue” and I could relate to that, as I believe that eventually there must come one of Marvel’s movies from this Phase Two I don’t feel comfortable with. However, let me tell you something: If the films that Marvel currently have in production rise to the level of Captain America: Winter Soldier, there’s nothing but joy in store. Hell, it even has two very relevant scenes after the movie is over! Please Avengers fans, stay on your seats, because there’s a mid-credits scene that’s a big nerd-gasm. 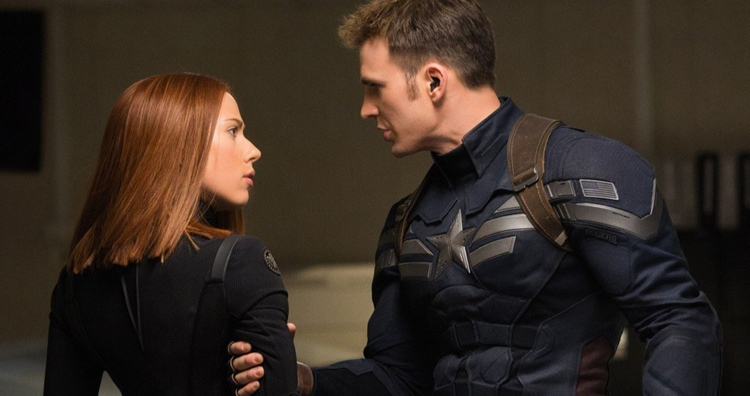 Yes, it is a good time to be a Captain America fan. A great time indeed.